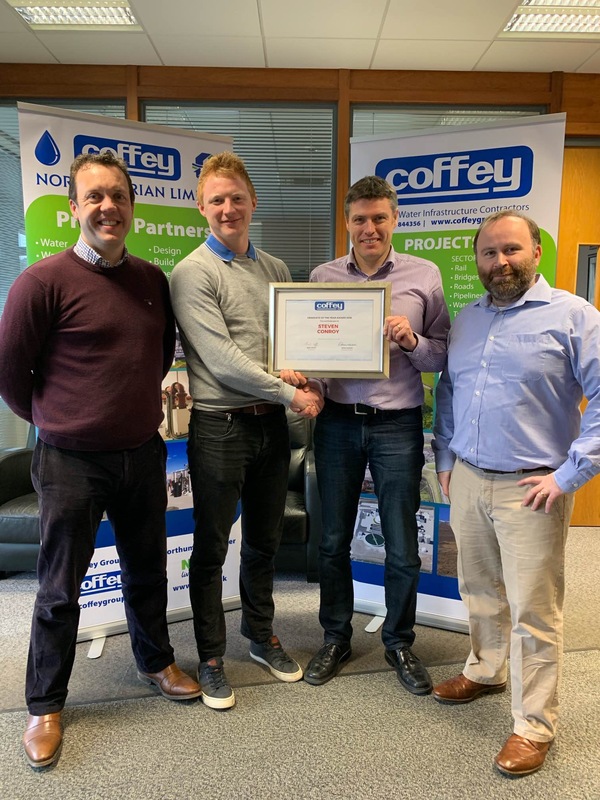 Coffey Group would like to congratulate Steven Conroy for winning the Graduate of the Year Award 2018. Steven is a graduate project engineer currently working on the Tubbercurry, Grange, Strandhill and Ballinafad Wastewater Treatment Plant project. The prize is a Coffey Group sponsored, all expenses paid University Level 9 Master’s Degree in a relevant discipline or topic. We would like to thank all of our graduates who submitted an application for this award and I hope that they will continue their further education journeys on their own or with the company’s assistance. Please remember that the 2019 competition will be open to all qualifying candidates again towards the end of the year.